Hi loves! How are you today? Are you as lucky and have tomorrow off? If not, I'm sorry, if you do, what are your plans? I am going to Rotterdam to celebrate my father for finishing the RopaRun, a charity run to fight cancer. 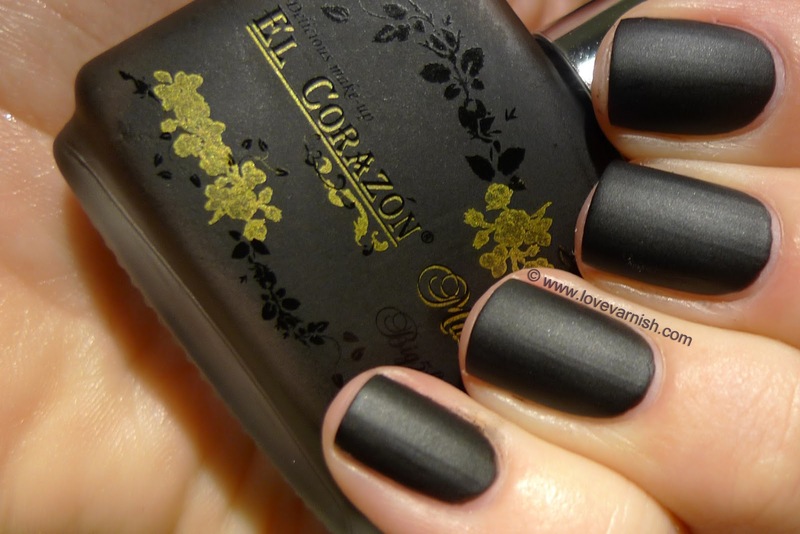 Today I am showing you 2 lovely matte shades I received from El Corazon. I got a major package from them containing 22 beauties so you might be getting a bit of El Corazon spam the next few days/weeks ;-). El Corazon offers a lot of different polishes, in all sorts of shades and finishes. 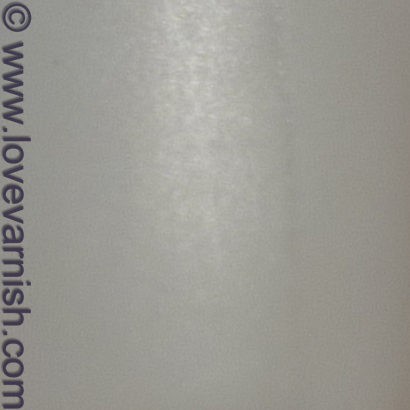 The Matte Effect line holds 15 shades, most in the pink/red section. No green or blue unfortunately. I was sent both 121 (a grey) and 124 (a true black). Let me start with the lightest shade first, 121. Matte shades can be tricky to apply and often show some bumps and lumps if you aren't careful. I was also wondering how such a light shade would behave as they normally aren't the easiest to apply. 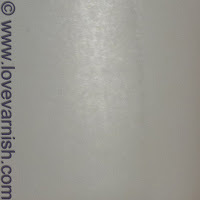 I was surprised at this beauty, because not only did it apply quite well, it also doesn't show bumps or ridges - it allows for a smooth application! I needed 3 coats but for such a light shade I do not mind, and it dried quickly (not as quick like OPI Suedes but those are a pain to polish in my opinion). It doesn't look chalky or flat to me though there isn't any shimmer causing that. 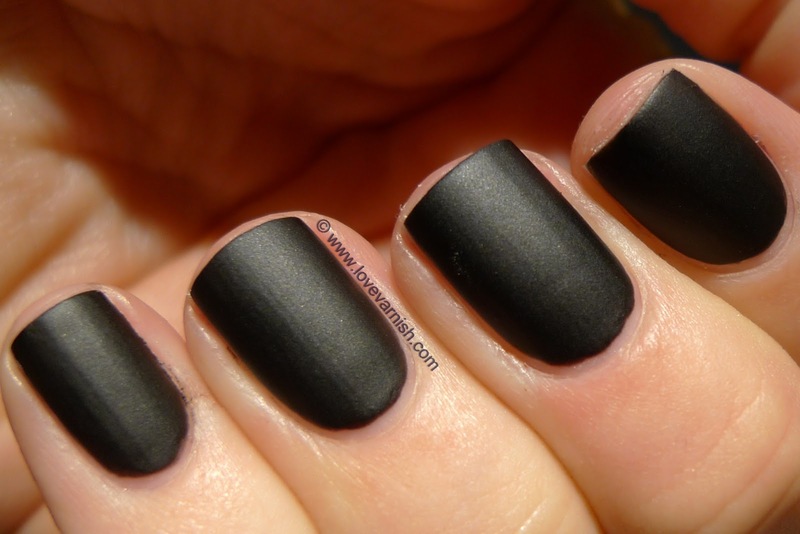 The other shade, 124, a true black matte polish. I wore this for a day as a full manicure and it didn't chip or wear at all during that day. It did get a little bit shiny on the tips but nothing that could bother me badly. 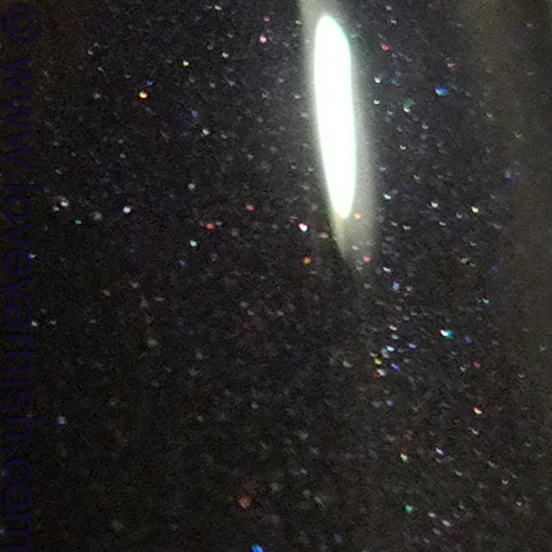 I needed 2 coats of this one and at the first coat I thought it holded some kind of specks or dust like particles. After applying the second coat this was not to be seen anymore but it didn't get chalky or flat at all. I tried it on a nailwheel with topcoat and there showed the reason I though there was something in the polish - there is teeny tiny microshimmer in it! Tell me, what do you think of these matte shades? Have you ever tried a matte shade yourself? The first grey shade is so unusual!! I love it! Very pretty! I have tried matte polishes and I liked! I love the shimmer in both of these! I need a good matte black like this one! Thanks Tiina! I like them too :). They have quite the choice! It is an AWESOME black! Aww I am sorry if I am creating lemmings that might not be fulfilled :(. But I am glad to hear you like them!